The Maui Yoga Shala’s 300HR Advanced Yoga Teacher Training takes you deeper into the art, science, practice, and discipline of yoga providing the skills and insights to take your teaching to new heights throughout the world. Our 5 week Hawaii immersion on Maui is designed for the practitioner to develop an advanced understanding of how to effectively teach asana, pranayama and meditation to all levels and abilities of students. The intensive nature of our program will allow you to fully immerse yourself in the yoga lifestyle and the warm Aloha spirit of Hawaii. 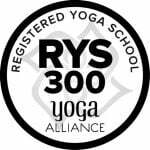 Our 300HR program is the opportunity for your full commitment to being on the path of the teacher, staying in your personal practice and teaching in an active way. The pre-requisite for our 300HR program is a 200HR certification. We are dedicated to supporting you in your career as a Yoga Professional and teach skills that will help you expand your work into the wide open fields of Healing, Health and Wellness and work confidently with other professionals in medical and corporate settings, schools, etc. Our world needs Yoga more than ever….and we are here to help you meet that demand with knowledge, dedication and skill. Designing specialized classes….Prenatal, Restorative, Yin-style, Seniors and more..
Yoga Sutras and Yoga Philosophy in a way that is relevant to our world. Experiential practice of key poses, alignment, advanced poses, yoga kriyas. Students will be guided by senior teachers to use their teachings in their asana practice. Explore the chakras in depth, their relationship between consciousness and the body, and the functions of these energy centers. We’ll discuss the functions of the chakras in relation to associated organs/body parts, the related mental & emotional issues & learn the spiritual and energetic qualities of the chakras and participate in chakra meditations. Visiting local schools to teach yoga classes; creating a community event in which free yoga classes are offered as well as opportunities for service in conjunction with the event. Through these outreach experiences, students will have the opportunity to offer their art as a means of establishing connections and building community relations by karma yoga, the spirit of service. Patanjali’s Yoga SutrasDive deep into the teachings of the Yoga Sutras of Patanjali by chanting and discussing the sutras individually, and gaining an understanding through transmission of each sutra.Ashtanga Yoga: The Eight Limbs of YogaIn depth learning and discussion about the Eight Limbs of Yoga include Yama, Niyama, Asana, Pranayama, Pratyahara, Dharana, Dyana, Samadhi. Learn how these individual categories become a whole and the practical application of these sacred teachings into daily life. The teacher’s voice is the one used when you’re standing in front of your class. It’s a professional voice and often different in quality from our day-to-day speaking voice. The projection of a strong voice and the inner power behind it will be explored as well as patterns of communication in the classroom. Incorporating exercises with Sanskrit syllables for toning the voice, students will be able to increase the volume and power of the voice for confidence and effectively maintaining the attention of a class. According to the yoga tradition, we have five sheaths, or koshas each made of increasingly finer grades of energy. Students will gain an understanding of these yogic bodies called koshas or “sheaths” as described in the yoga classic, the Taittiriya Upanishad. Understanding how the human body moves is integral to teaching in a manner that is safe, appropriate and effective. We will explore the human movement system – primarily the skeletal, nervous and muscular systems as they relate to movement and motor learning. Students will learn about planes and directions of movements, joints, and the muscles that create movement at the joints; learn which primary tissues are at risk during asana practice and how to protect them. Gardening & farming brings a relaxing, meditative quality to our minds since it requires much patience and concentration while sowing seeds, planting, weeding, pruning, watering, and harvesting. Incorporating the yogic practices of breath, asana, and mindfullness will be explored while working with the ‘aina, or land of Hawaii. Through hands on organic garden & farming activities, students will learn how nurturing and working with the Earth with a sense of kuleana, or privileged responsibility, provides wonderful oppurtunities to nurture the whole being and creates a healthy & sustainable environment. Being a much slower teaching style, restorative yoga requires a certain quality from a teacher. Students will learn the theory and practice behind a restorative yoga class and also learn pranayama and visualization techniques. A discourse on the three gunas: Sattva, Rajas and Tamas as related by the classic Indian scripture, The Bhagavad Gita. Students will receive insight on the qualities, forces, or modes of nature that make up material existence, or prakriti and how yoga opens our awareness to purusha, soul. Teaching Yoga for Healthy Shoulders Learn the correct alignement of the shoulders while gaining insight into an array of shoulder openers; also, how to properly handle a shoulder injury or address shoulder pain. Specific poses are prefered for deeper hip openings. In order to move deeper into the hips there must be a knowledge of how to keep proper alignment in the process as well as how to instruct verbally a sense of release for a client, class, or community. Students will also learn how to take a client deeper into the emotional connections that we have in our hips. Dristi translates to “gaze.” During our physical and meditation practices we’ll use our gaze to increase concentration, calmness and ultimately stillness, achieving one-pointed concentration, dharana. Several pranyama techniques will be presented to explore the science of breath regulation and the cultivation of life force, or prana. Understanding the physical, physiological, emotional, and spiritual effects of pranayama, students will be able to incorporate these techniques to help increase vitality, awareness, and well-being in themselves and their students. Instruction & discussion on practicing Yamas & Niyamas, Limbs 1 & 2 of the Ashtanga Yoga Philosophy, in the daily activities of life to set a professional & ethical example as a teacher of yoga. We’ll learn the appropriate application of the practices and teachings of yoga to influence the teacher/student’s living standards in a helpful, safe, and transformative way. Awareness of what one puts into the body as food and its effects on physical well-being and how it impacts the overall psychological well-being, are important factors to the yoga practice & lifestyle. Along with the study of certain aspects of the yogic science of diet, we will explore the connection between what and how we eat and other factors affecting our lives. Students will learn how the integration of healthy eating habits & nutrition supports the yoga practice and a healthy lifestyle while expanding the access of organic, locally-grown fruits & vegetables. Paths of Yoga within the classical system of Raja Yoga include Jnana Yoga, Bhakti Yoga, & Karma Yoga. Knowledge of Self through chanting Sanskrit verses, service from within to the whole, devotional practices, and connecting the paths are explored. By experiencing the yogic disciplines through practice we’ll see how each path is uniquely used to achieve a higher purpose. The bandhas are the internal tools we use to harness, increase, and direct prana through the body. The word “bandha” literally translates to the word “lock”. When these locks are engaged it stops prana from leaving the body. We’ll explore The bandhas in depth, how to use, manage & maintain, as well as where each one is located. * The training tuition and lodging includes 34 nights. Check-in for lodging is the Sunday before the first day of training. Check-out is the Sunday after the last training day. If you’d like to come earlier or extend your stay, lodging is $60/night for shared or $90/night for private. More on lodging below. ** Meal plan includes lunch and breakfast from Monday to Friday. Saturdays are not included. Sundays are off. EXTRA DISCOUNT OFFER Sign up with a friend or family member and you each receive $250 off your training! ACCOMMODATIONS We offer accommodations that are close to everything – our studio, Paia town and grocery, and the beach. More info on Frequently Asked Questions page. Our accommodations are centrally located and basic with all the amenities (full kitchen, beds, bedding, towels, etc.). Even though it’s a house, you can expect dorm style living. It’s a great opportunity to connect, study, and have fun with your fellow trainees. There is alternative lodging in the area if you require more privacy. EXTENDED STAY Extend your stay with us beyond the training. Ask us! If you’d like to arrive earlier or stay beyond the training, extra days in the lodging or $60/night shared or $90/private. After training, there will also be opportunities for you to teach classes at the studio and continue your studies! PAYMENT PLAN The option to pay in installments is available after enrolling with your non-refundable $750 deposit.